Actor Rico Rodriguez attends The 23rd Annual Screen Actors Guild Awards at The Shrine Auditorium on January 29, 2017 in Los Angeles, California. In a post on his Instagram account, Rodriguez says the week since Roy Rodriguez died at age 52 "has been the toughest week of my life." 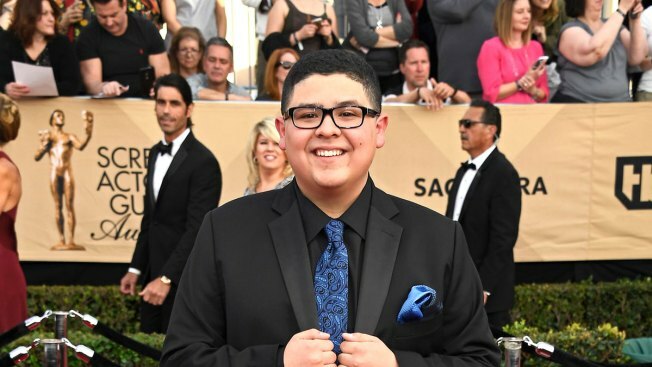 The actor who plays Manny on the popular sitcom "Modern Family" is mourning his father in real life. In a post on his Instagram account, Rico Rodriguez says the week since Roy Rodriguez died at age 52 "has been the toughest week of my life." The actor's Instagram post included a picture of father and son drinking milkshakes together and said the father "was the most kind hearted, loving, hard working, determined, and funny man I have ever known." According to an obituary in Bryan, Texas, newspaper, The Eagle, Roy Rodriguez is survived by his wife, five siblings and four children including 18-year-old Rico Rodriguez and Raini Rodriguez, who's an actress. Rico Rodriguez plays teen Manny Delgado on the ABC sitcom "Modern Family."